Below is the next “Scratch the Surface” EJ Podcast. EJ has as his guest today TVLine’s Michael Ausiello. 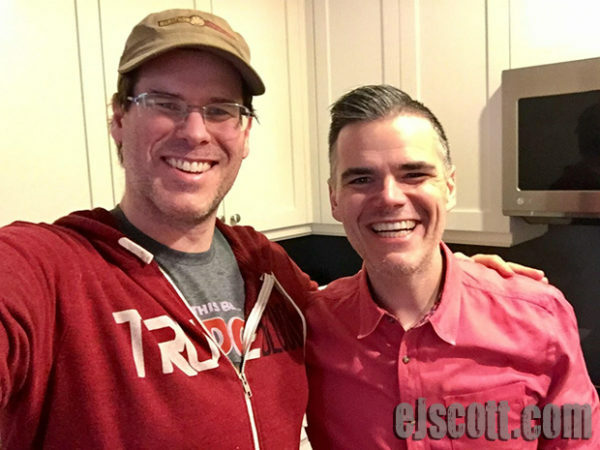 Michael Ausiello is a successful tv critic co-founding the entertainment website tvline.com which is known for delivering a concentrated stream of breaking TV news, original previews, and insightful recaps/reviews. Michael has a memoir coming out soon about his love and marriage with his husband, Kit. The memoir titled, “Spoiler Alert: The Hero Dies: A Memoir of Love, Loss, and Other Four-Letter Words“ goes into what it was like losing Kit to cancer. meeting celebrities and so much more!! !